, we needed a real application to integrate with Google Apps. 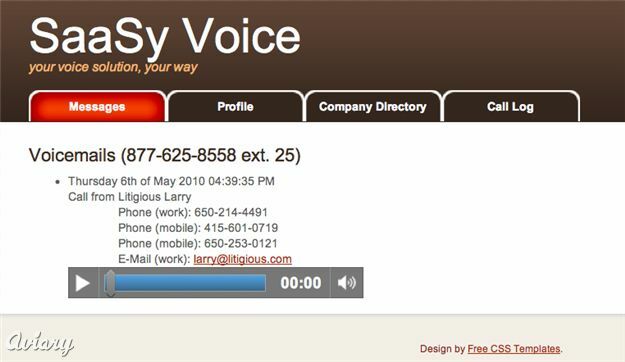 We decided to build SaaSy Voice -- a web-application for handling the phone system for small and medium businesses. For the call features we used Twilio, a cloud based voice communications provider. Why did we decide to build SaaSy Voice? Voice applications are fun and allowed us to experiment not only with our APIs, but with Twilio’s voice APIs. Learning new APIs and creatively mashing them up with Google technologies is one of the many reasons we love our jobs in Developer Relations. The first step in launching our application on the Google Apps Marketplace was to build the core business logic. This was simple. We wanted to allow companies to buy a new phone number for their business, assign extensions to their employees, and allow for voicemail or call forwarding to existing numbers. We wanted simple management functionality for administrators to manage extensions and view call activity for their company. In just a few days we built the core application in PHP with a MySQL database and spiced up the design a bit by using free CSS templates. The next, and very important step, for our application was to integrate with Google Apps. We started with single sign-on integration using OpenID. 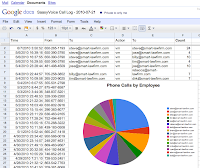 Allowing users to quickly access their voicemail using their existing Google Apps account is a great user experience and a common feature of apps in the Google Apps Marketplace. We used Janrain’s PHP OpenID library with the Google Apps discovery extensions to integrate OpenID very quickly. Our integration with Google Apps wasn’t complete with just single sign-on though, as we were aware that many other integrations with Google Apps could improve application provisioning for administrators and day-to-day effectiveness for end-users. Integrating with a business’ contacts, docs, e-mail and company directory makes the application much easier for both administrators and employees, saving valuable time. Of course, there are plenty of other ways to improve the efficiency of SaaSy Voice users that we have yet to develop. 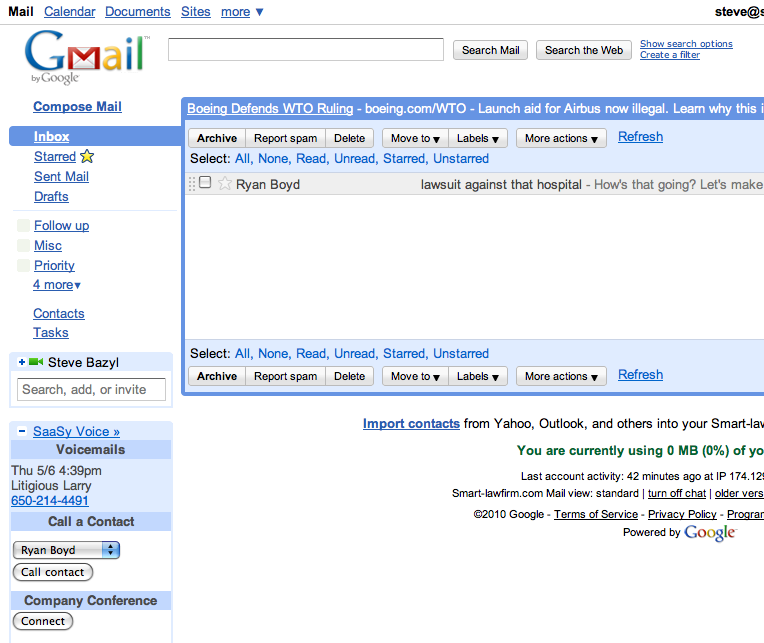 E-mail voicemail messages to users as they arrive. Using Gmail Contextual Gadgets, we can embed a voicemail player right below the e-mail to allow a user to listen to their message right away. 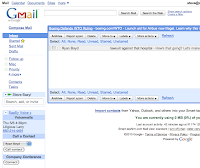 Create a Gmail Contextual Gadget that gives a one-click option for calling the user who e-mailed you. When you click the ‘call’ button, the sender is called on their phone number stored in the user contacts and you’re connected immediately using your company phone number. Since SaaSy Voice provisions a new phone number for each company using the service, it costs money. We don’t want to go poor when lots of anxious developers try it out and also don’t want to start a new business right now, so it’s not currently published in the Apps Marketplace. However, there’s an application similar to SaaSy Voice which recently launched in the Apps Marketplace. It’s called Ginza Phone and their developers have thought of a few other great Google Apps integrations like using the Google Calendar API to look up a user’s free/busy schedule to determine how to best route calls. These are just a few of examples of how integration can improve the productivity of users, and the possibilities are endless. We’ve heard from customers and vendors alike that Google Apps users love integrated applications. We look forward to hearing about the great integrations you build -- let us know what you’re doing via Tweeting/Buzzing with #AppsIntegrations. You can learn more about how we built SaaSy Voice, you may wish to watch our Google I/O session on Integrating your app with the Google Apps Marketplace. As we build out a new platform and APIs for developers, we find it helpful to create our own applications to try it out. It helps us validate and influence the design based on direct experience using the APIs. In the case of the Google Apps Marketplace, we needed a real application to integrate with Google Apps. 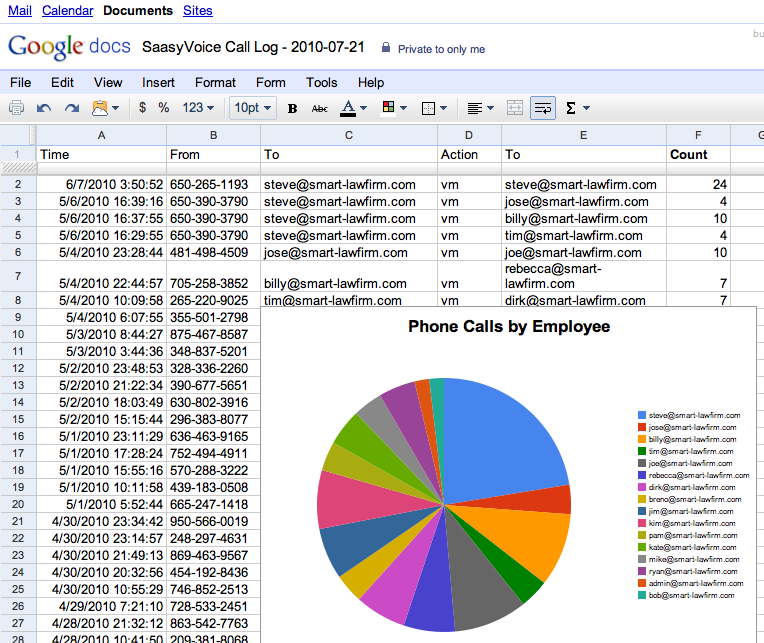 We decided to build SaaSy Voice -- a web-application for handling the phone system for small and medium businesses. For the call features we used Twilio, a cloud based voice communications provider.